Shortly after I became Bishop of Minnesota, Spenser Simrill, Dean of St. Mark’s Cathedral, invited me to travel with him to Cuba. St. Mark’s has an ongoing relationship with Cuba and Spenser suggested that since I am a new bishop and Cuba has a new bishop, this might be a great opportunity for expanding this relationship. Traveling to Cuba is challenging. Once in the country, U.S. currency and credit cards are not accepted, nor is there U.S. cell phone service. There is very limited email access with no Internet. As such, it would be easy to feel isolated and vulnerable. That is until you meet our brother and sister Episcopalians. The familia hospitality was incredible, as were the inspiring things the church is doing in Cuba. What they are accomplishing in terms of engaging God’s mission, much of which is through sustainable community food production, is truly transformational. 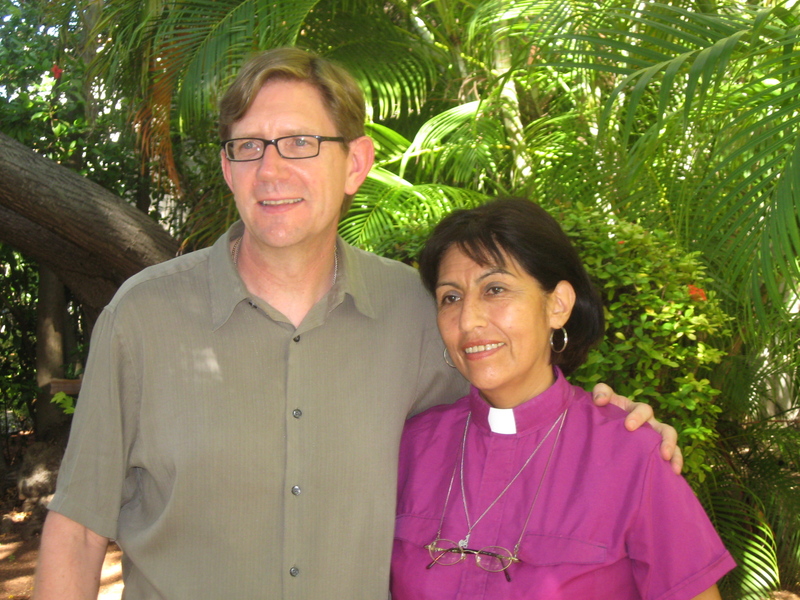 Please pray for la Iglesia Episcopal de Cuba and their new bishop, Griselda Delgado del Carpio. And stay tuned as we continue to explore how we may share in engaging God’s mission. I am a husband, father, priest, and, most recently, the IX Bishop of the Episcopal Church in Minnesota. We have more than 108 faith communities, schools, foundations and organizations scattered throughout the beautiful state of Minnesota. Each Sunday congregations in our community are worshipping in a variety of ways and in a diverse set of languages.